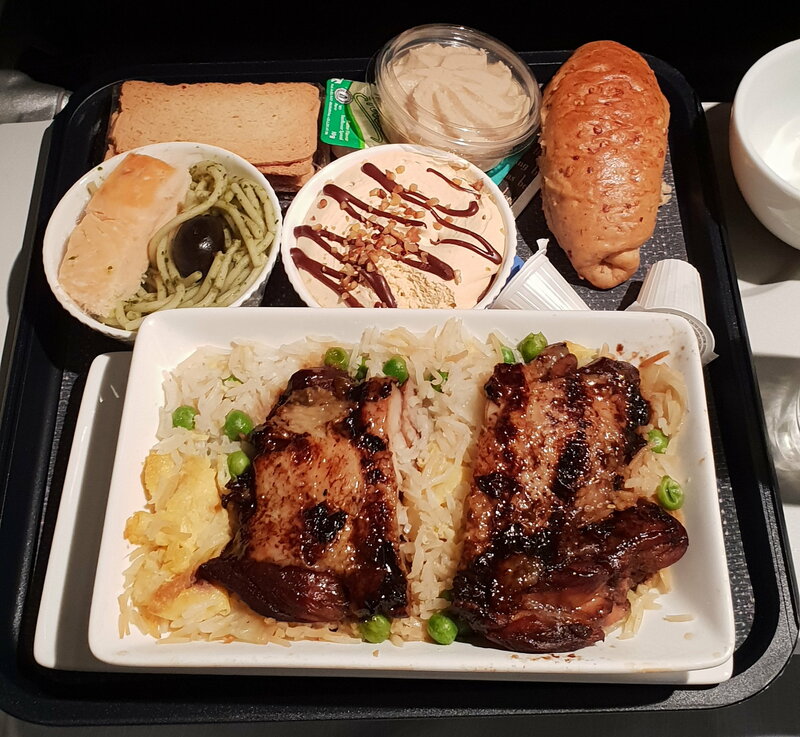 *Looks like Special Meals don't rotate as frequently as other meals, have received this -very tasty- meal on all band 3 (from LHR and outstations) since the new CE meals were introduced a few month ago. Prospero, adrianlondon and tedcruz like this. On the late morning flight to HEL yesterday, my choice was the Roasted British spring chicken with pigs in blanket, carrots, green beans, bread sauce and gravy. But is really spring starting even before Christmas? A global warming thing? Sounds very festive; was it okay? Besides from the veggies being overcooked, as almost always on board, this was a good meal. IMHO, competing with the Miso-glazed Cod with Wasabi mash for the best CE meal of the year. corporate-wage-slave and HighwayToHEL like this. It's not actually a holiday special dish though, it is one of the normal rotations (pics upthread). 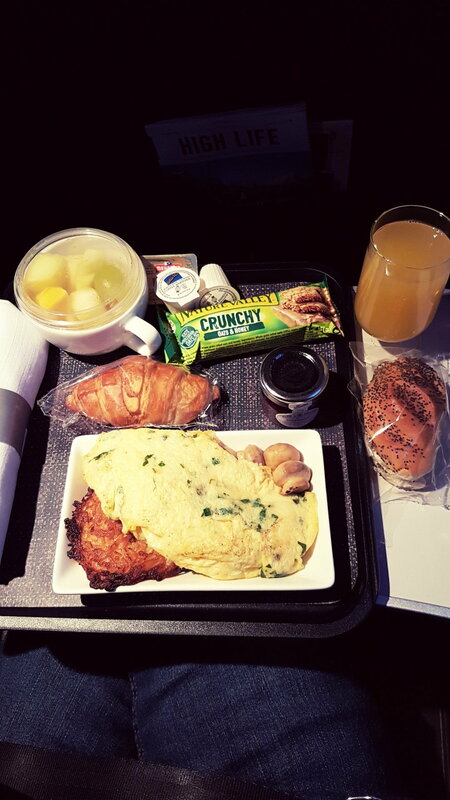 KSML Breakfast GOT-LHR is my new favourite over Lacto-ovo. So delish! Prospero, Sealink, Tobias-UK and 2 others like this. KSML Dinner DUS-LHR. Plentiful smoked salmon and 4 pieces of salt beef with salad. The dessert was missing from the tray (found in the trolley - a fruit pie and custard. Barely time to eat it all! 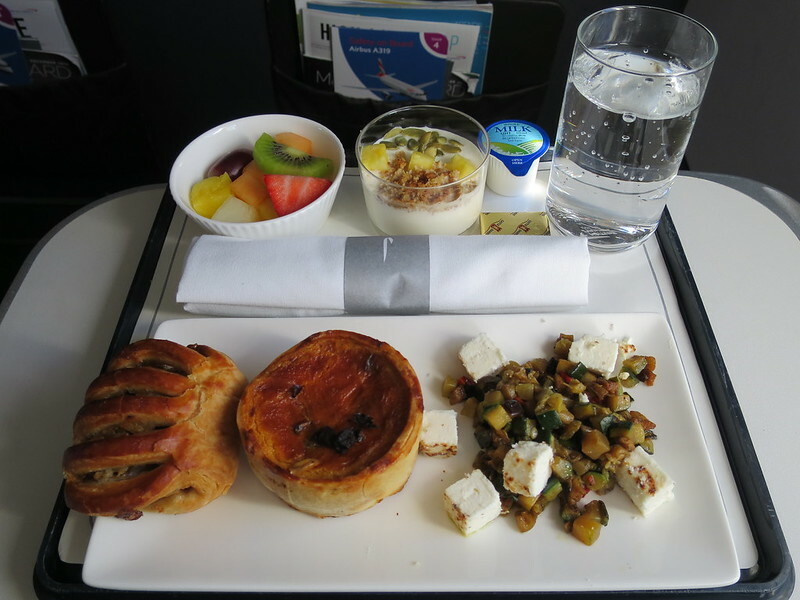 A very pleasant mini warm quiche with light salad, fresh fruit pot, slightly mushy but flavourful yogurt and warm pastries and breads offered from a basket. The alternative was a cold cuts plate. Fresh sandwiches, a very sweet cake and a warm, fresh scone (fruit scones were also available). The alternative was the ploughman's salad. 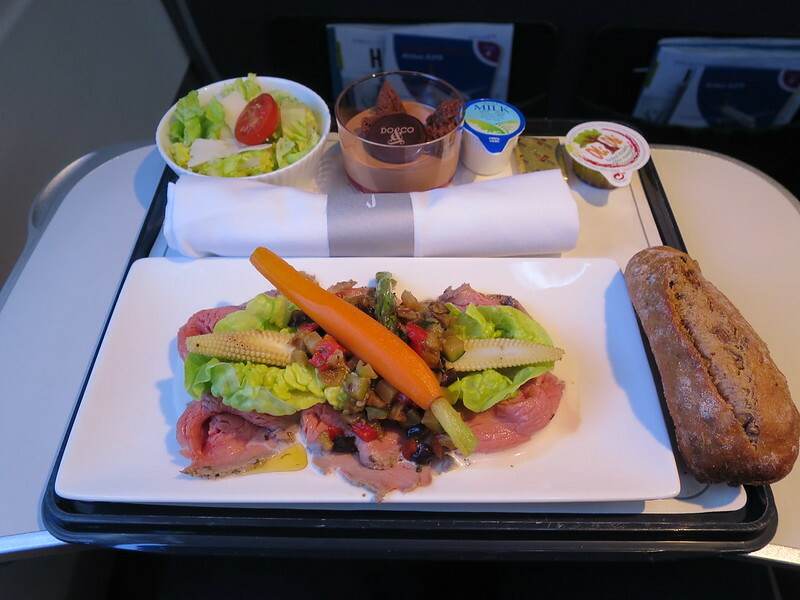 An absolutely delicious beef salad bursting with flavour, served inexplicably with a completely boring side salad (although thankfully BA have added salad dressing to the trays), served with warm breads from a basket. The dessert pot was a little bland. The alternative was another salad, the exact composition of which I can't recall. This mozzarella salad was pretty weak - a small portion and no meat/fish - the side salad was the tastiest thing on the tray. Warm breads were offered from a basket. 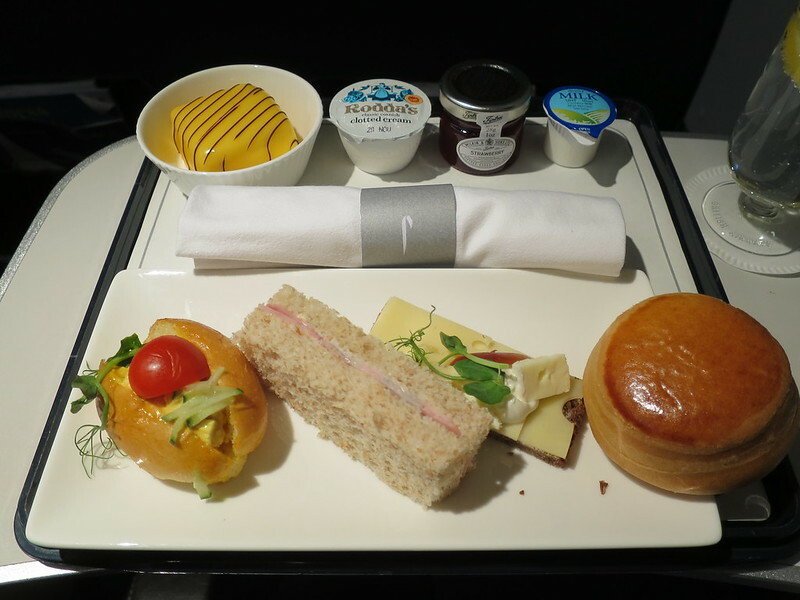 The dessert pot was as bland as the previous flight. The small portion size meant I requested some emergency biscuits. Sealink, corporate-wage-slave and Tobias-UK like this. I love that beef salad too (and the cherry chocolate mousse that comes with that rotation is also the best of the puddings! 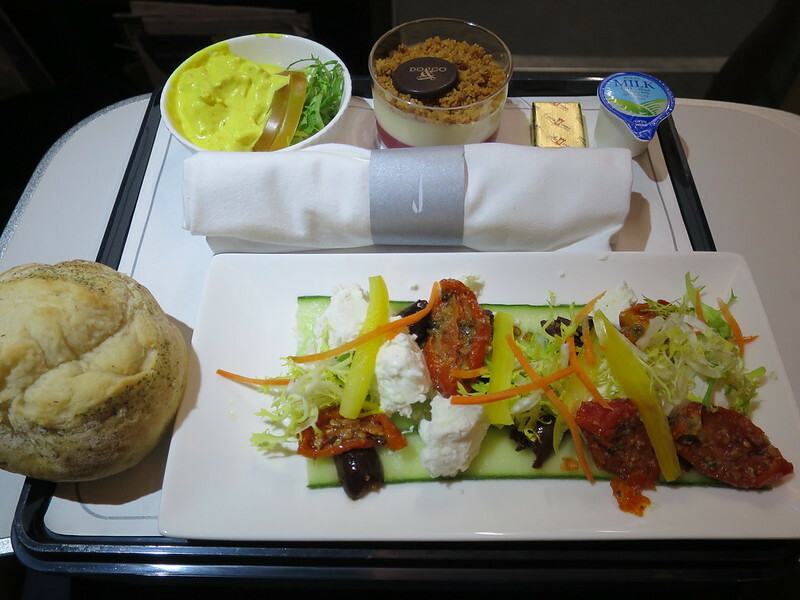 ), I would have that meal on every BA short flight if I could - well done to whoever in the catering department added that to the rotations. On the other hand, just had the same afternoon tea plate as above today and I think, in contrast to some of the other afternoon teas I've had since the catering changes were made, this rotation is dangerously close to slipping back to the comically bad afternoon tea of a year ago. One small coronation chicken roll (requiring a game of find the chicken), one very cheap piece of ham and one cheap slice of cheese, sadly, an afternoon tea does not make. The entirety of row 1 sent it back uneaten on my flight today, despite it being a flight from an outstation where you'd expect people to be hungry. Unlike the sandwiches I did try the cake which was also pretty terrible (it's basically just a giant piece of icing). The scones are still good and devoured by all, however. No ploughman's on offer as alternative. (it's basically just a giant piece of icing). In all seriousness, I generally like sweet puddings but found it so sweet it was pretty much inedible. Luckily I've been following the forum, otherwise I would have been mighty disappointed by this meal - they used to serve such nice hot meals on this route. This chickpea creation was just too weird for my liking...the olives had too strong a flavour for the rest of the 'meal'. Cold broccoli doesn't do much for me either. 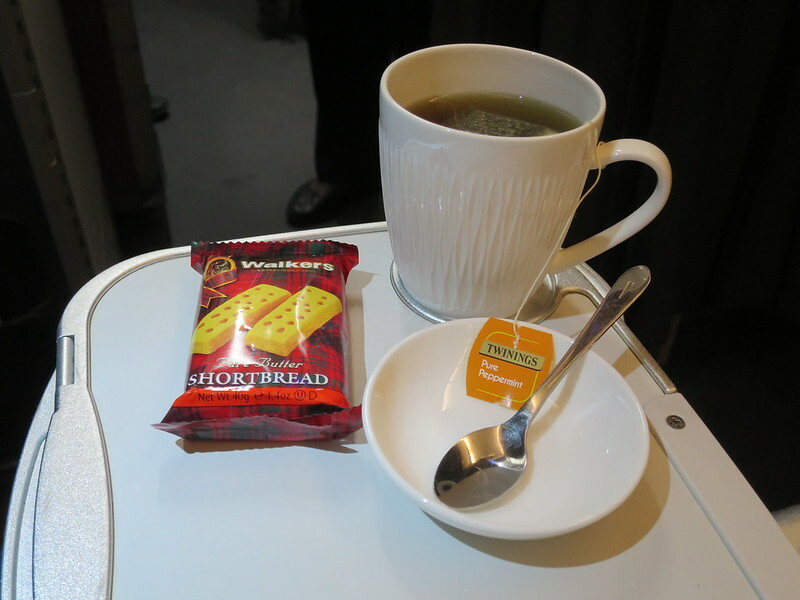 Seemed strange that no pre-departure drinks, nor introduction announcement during take-off. The cabin was very lightly loaded - only myself and one other passenger in the front row. The senior cabin crew member did a great job in looking after us though and was very attentive during the whole flight. Upgraded an N fare using Avios, I'd never pay good money for Club Europe to Vienna anymore, not since Cruz did his handywork. 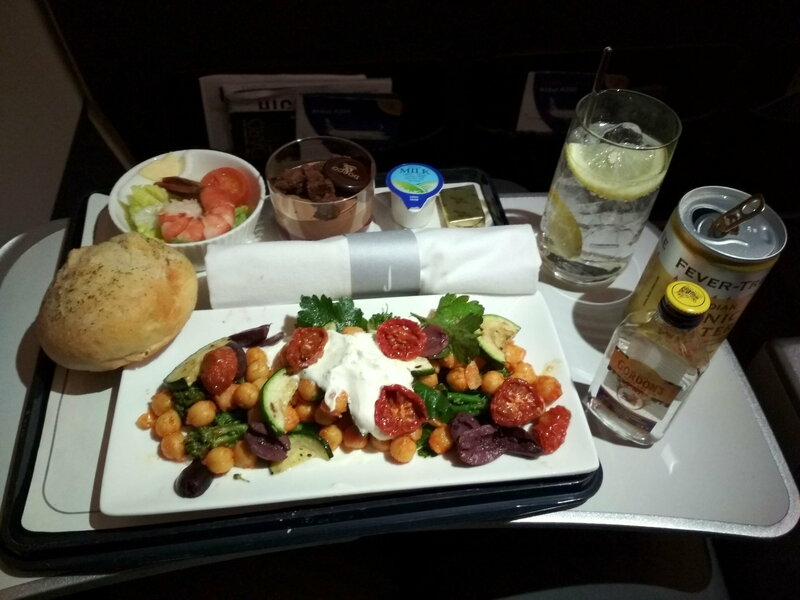 I had the above chickpea salad minus the mouse / roll as a LFLC meal on LHR-BRU.